Click on any book cover to order. Read the evidence and conclusions presented, and decide for yourself who really shot Mike Killeen. Author John D. Rose takes you to a Tombstone summer’s night in June of 1880, when passions for a married woman put at risk the lives of not two, but three men. Learn who they were, what they did, and the impact of those life and death decisions. Released February, 2016. Samantha Fallon was a Tombstone Pioneer with secrets in her past that she wanted to hide. Within her boarding house she had entertained many men of Tombstone, some of them very prominent. She spent most of the rest of her life trying to create a new reputation and life for herself. But a court case would bring her face to face with her Tombstone days again as she unwittingly divulged confidential information to a Pinkerton spy living under her own roof. Those reports, those secrets, are now published in substantial detail for the first time ever in this book. Other Tombstone Pioneers round out this remarkable story of affairs and a child's heartbreaking abandonment. Wyatt Earp, George Parsons, Dr. Giberson, and many others take us back to Samantha Fallon's Tombstone, with groundbreaking insights and new information. Released in July, 2013. ** Announcing Tombstone’s Founders and Pioneers Speak. 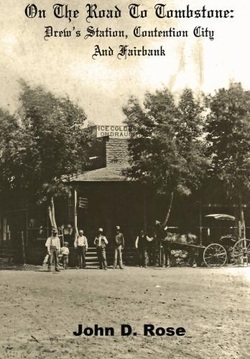 Author John D. Rose has published for the first time scans of the court records of the all important lawsuit, Garner vs. Gird, in which the Founders of Tombstone, Ed and Al Schieffelin, as well as Richard Gird, went on record revealing just how it all began. 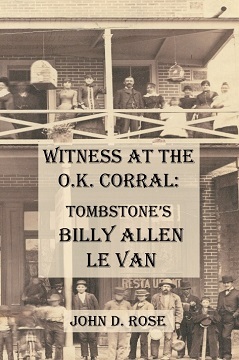 Offered here in book form for the first time ever, the testimonies of the founders are joined in this key record by J.B. Allen, Jim Burnett, the first Mayor of Tombstone William Harwood, James Reilly, Virgil Earp, along with over twenty others who knew Tombstone so well. Released in May, 2013. ** Announcing "San Pedro River Water Wars In The Post Drew's Station Era." 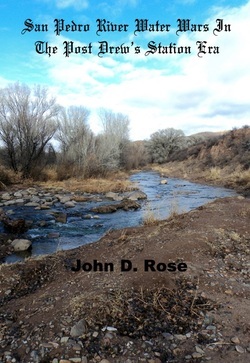 The breakthrough book by John D. Rose, bringing to life unknown ranchers and life along the San Pedro River, and proving further what was and was not Drew's Station. Click here to order. Released in April, 2013. Wyatt Earp, the Gunfight near the O.K. Corral, and related events happened in the larger context of an area in turmoil. The Earps were brought into court at Contention City over the shootings in Tombstone. 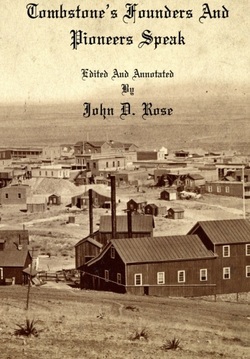 The all important history of Drew's Station, Contention City, and Fairbank, Arizona Territory are now revealed for the first time ever. 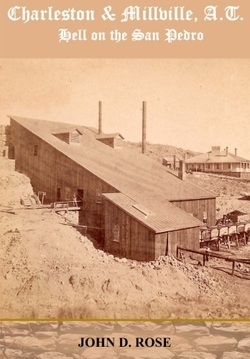 Heavily documented and thoroughly researched, many misconceptions about this portion of the wild west are brought to light, and proving once and for all where Drew's Station really was. Released in August, 2012. The legendary story of Tombstone and Wyatt Earp has an untold missing link...the nearby town of Charleston. Learn of Wyatt Earp’s siege of Charleston, as he searched for his brother, Virgil’s, assailants. But the story of Charleston has far more depth and intrigue than just intermittent visits from Wyatt Earp, Doc Holliday, Ike Clanton, and Curly Bill Brocius. This is the first book published devoted to bringing this remarkable town to life. 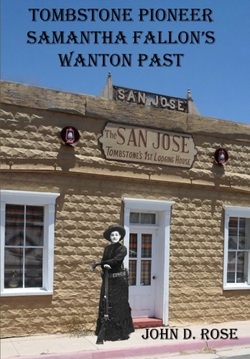 Much has been written of Tombstone’s colorful days, but of the two locations, Charleston best fits the description of a truly wild west town, when the Arizona Territory was still far from being tamed and civilized. Historian John Rose now offers “Charleston and Millville, A.T. Hell on the San Pedro.” Released February of 2012. * A Drew family member reacts to "San Pedro River Water Wars In The Post Drew's Station Era." Click here to read my thoughts on the loss of my dear friend Robin Andrews. 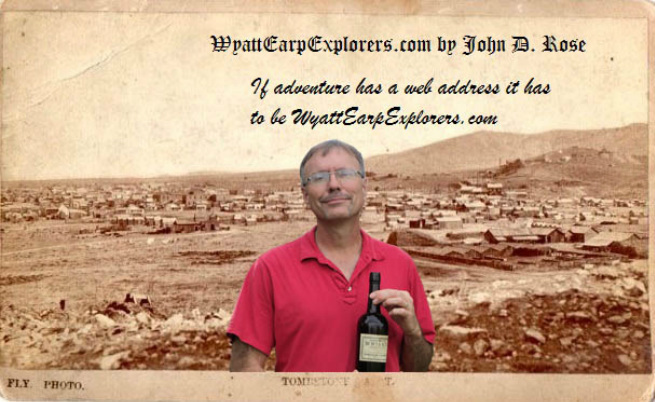 A new song and video about Arizona by Wyatt Earp Explorer, John Rose. Copyright 2012, 2013, 2014, 2015, 2016, 2017, 2018. John D. Rose. All rights reserved.